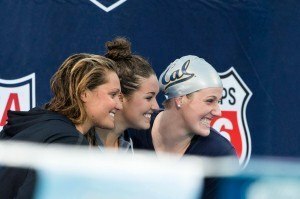 The Cal women will be battling among themselves in the backstroke races for spots in finals, but they’ll have to deal with a bigger threat from the Australians in the evening. 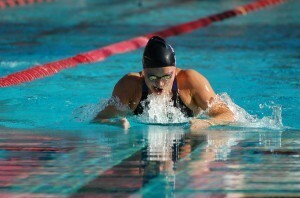 Jessica Long of the United States won two more gold medals on the final day of Pan Pacific Para-Swimming Championships: the 100 free S8 and 100 breast SB7. Aussie! Aussie! Aussie! oy! oy! oy! 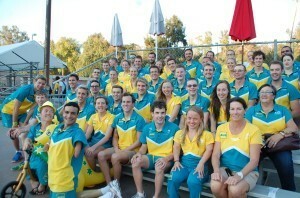 The Australian Para Pan Pacs team finished second to the US in overall medal count but produced the most golds of any of the teams competing in Pasadena. 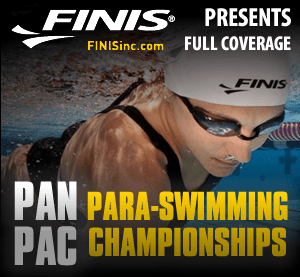 USA Paralympic swim coach Dave Denniston wrapped up the 2014 Pan Pacific Para-Swimming Championships with Mallory Weggemann. After last week’s amazing performances in Pasadena, California, athletes from 19 countries have made their way back home, leaving the Rose Bowl Aquatic Center and those who were fortunate to witness the week forever changed. 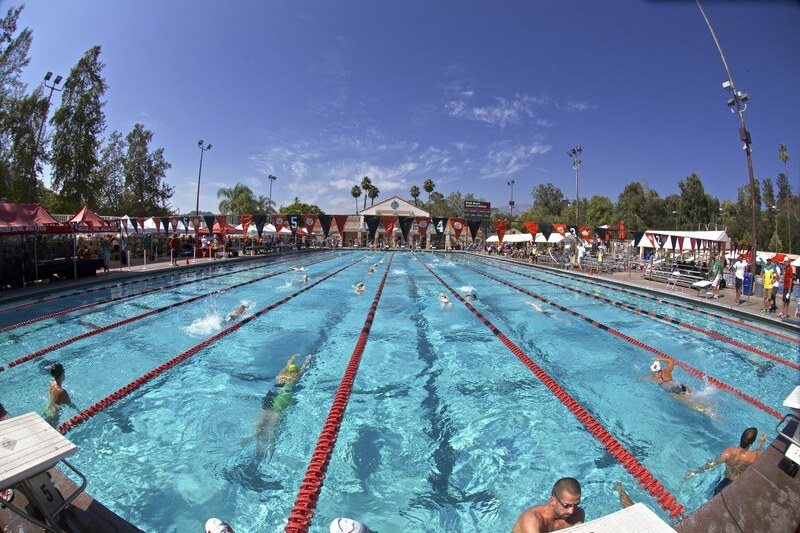 With the Rose Bowl Aquatic Center being the home of the Pan Pacific-Para Swimming Championships for five days while USA Swimming Nationals were being held just down the road in Irvine, it left many curious about what was happening in Pasadena. I know from experience that Para sport isn’t one of the most talked about components of sport, nor it is the most well known; although that is changing. I myself went 19 years of my life and I had never so much as heard the word “Paralympic” uttered, nor did I have the slightest of understanding what it was all about when I heard it mentioned for the first time. I couldn’t for the life of me grasp the enormity of what the Paralympic Movement was about; although I did quickly learn that it would be life changing for many others and myself. So while USA Swimming Nationals were going on last week, it is my sincere hope that individuals were left inspired by what was happening at Pan Pacific Para-Swimming Championships and not only inspired, but educated of a new world that maybe they hadn’t been exposed to before. So here is a question that I get more often than not when talking about the Paralympic movement and Para sport; what is it? How many of you truly know? How many of you have ever been exposed to this world yourself? It is okay if you haven’t, in fact I can understand because until less than seven years ago, I was with you in that, but today I want to help answer it for all of you. What is Para sport and what is the Paralympic world all about? It is simple. It is about inspiring; inspiring individuals both “disabled” and non-disabled that anything is possible. It is about pushing past barriers, redefining the odds, and not showcasing disability, but amazing ability. Last week we saw individuals from all over the world beating the odds, redefining what “disability” means and pushing themselves to their utmost physical limits, even though each athlete on that pool deck at some point throughout their journey has been told the same thing, “you can’t because you are disabled.” The Paralympic movement is about showcasing that there is nothing wrong with being disabled; it is about showcasing that disabilities enable individuals. How? They enable us to realize that disability is nothing more than something that holds us back, but only if we let it. They humanize disability and leave us all realizing that every single person on that pool deck had a disability; in fact every person at USA Swimming Nationals had a disability too. You may think I am crazy right now, but it is true. Disability is something that affects all of us, whether it is physical, mental, emotional, financial, spiritual, familial and the list goes on, but regardless of what our “disability” may be we all have the ability to push forward and showcase our amazing abilities. That is what the Paralympic movement is about. It is not about focusing on the disability, or about asking for pity. It is about realizing we all have hardships in life and are dealt a different deck of cards. I often say it isn’t the circumstances in life that define us, it is how we react to them that defines who we as individuals are, and last week we witnessed that. Individuals who at some point, more often than not in some cases have been cast aside, been told they can’t, been made out to feel like they are less than others simply because they are disabled. They took over that pool deck and they proved race after race that those circumstances do not define them. They proved that they are forces to be reckoned with; that they can and that they are truly able is what defines them. To me, the Paralympic movement is about a number of things, but most importantly it is about not only showcasing amazing ability, but also showcasing how empowering disability truly is. Why does the term disabled have to have a negative connotation? I will say this; I am proud to be disabled, I am proud to be different and everyday it empowers me. So that to me is what it is about, replacing negativity with positivity, showcasing amazing abilities while also being proud in our disability, inspiring a generation that anything is possible and humanizing a term that many believe they cannot relate to because the reality is they can and they do, everyday. That is what the Paralympic movement is about and I am so incredibly honored to have had the opportunity to witness it from a different perspective last week. A big thank you to all of the athletes that competed for continuing to show those around you what is possible, for inspiring me and so many others with your courage, athleticism, determination, will and most of all passion. Also, a big congratulations to all of you who competed, not only on your amazing performances, but on your ability to defy the odds each and everyday, and your ability to inspire and represent what the Paralympic movement is all about. Each time you get in the water and race, you are making a difference, you are changing the world and most importantly you are changing perception of what disability means. What a great editorial Mallory! Becoming part of the Paralympic movement is a life changing experience for the athletes, and more importantly for those of us who are spectators. 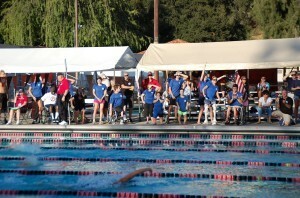 Sitting on the pool deck at any para meet, really helps to put one’s life into perspective. It’s the best thing that has ever happened to our family!